We are a company called act in Korea. I am very interested in the stone panels. Do you have a catalog I can look at with the prices? Would it be possible to receive some samples in Korea? Do you also have instructional and informational videos of your panels? 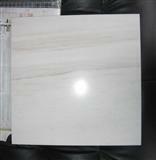 I am very interested in the 'Vietnam Milk White Marble' you released on STONEBTB.com.